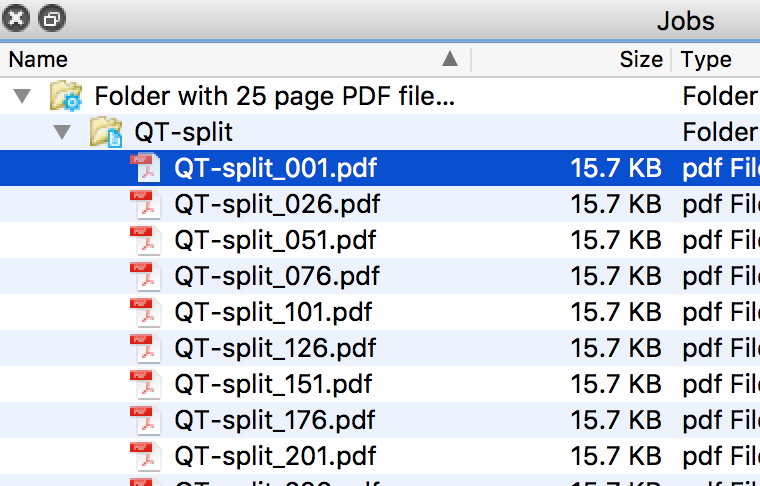 The input for the Split PDF is a multiple page document. 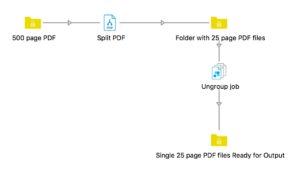 In this sample we are creating batches of 25 pages from a 500-page document. The first PDF will have pages 1 to 25, the second PDF will have page 26 to 50, etc. 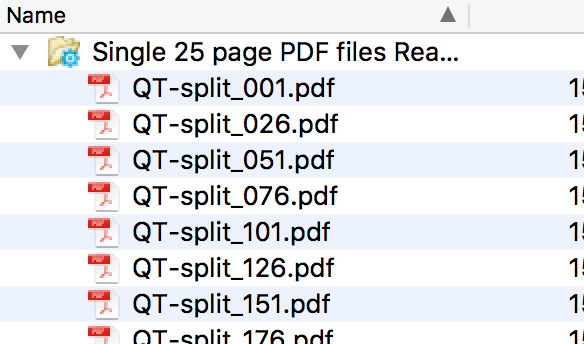 The ‘Pages per file’ property is where you set the batch amount. If you like to add a prefix or suffix to the filename then you can do that. And if you’d like to keep the original page labels then you can do that as well. Those are extra options available to configure. It is important to understand that your output job will be a job folder with the PDF files inside. If you want to process the PDF files separately then you will need to use the Ungroup element. This would be the result after the Ungroup element. 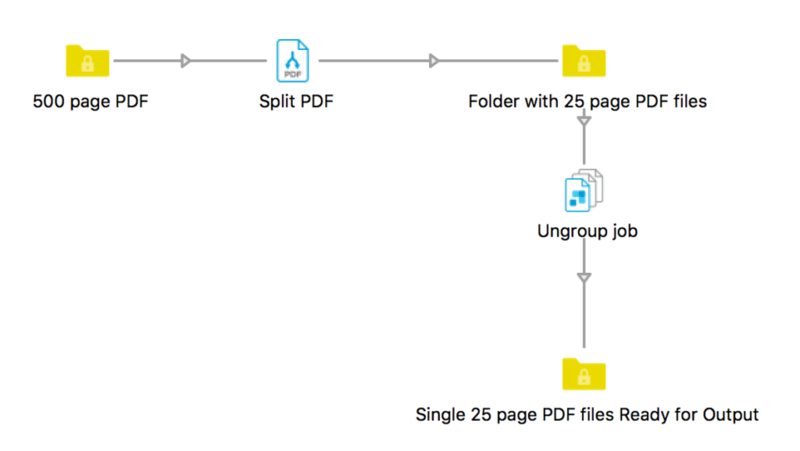 Your PDF files are now ready to be processed individually and we have done this with Switch Core functionality and without additional Modules! Obviously, you’ll save time and money while producing high-quality, rapid results. But there’s also the simplicity of being able to manage your entire workflow within a single, intuitive user interface.